Ever notice when you are playing that your arm sticks to your guitar? This is especially true in warmer weather when perspiration, salt and skin oils affect the finish. 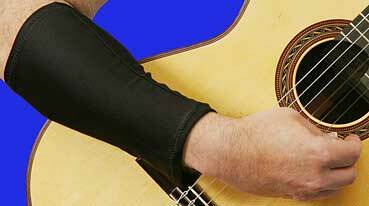 Made of cool, smooth nylon and elastane, the Oasis guitar sleeve comfortably allows your arm to move freely, and protects your finish from skin chemistry and wear due to friction. 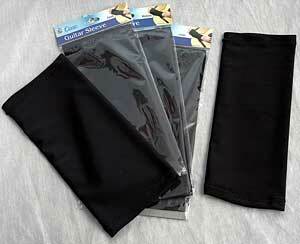 The Oasis Guitar Sleeve is an easy way to protect a valuable instrument and improve comfort. Choose medium if the widest part of your forearm measures between 10-12 inches around.